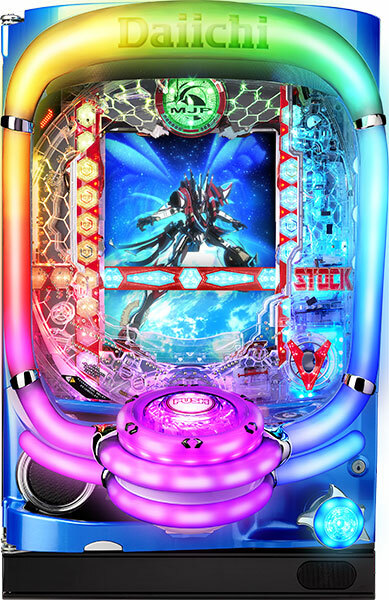 Today, we will be introducing a pachinko machine of “Gargantia on the Verdurous Planet”, since it came out as a pachislot machine 2 years ago and it is being released as a pachinko machine this year. Characteristic of this new machine its speedy battles. It is a huge chance for the players to win jackpots if Ledo, the protagonist, boards what he refers to as “Chamber”!! 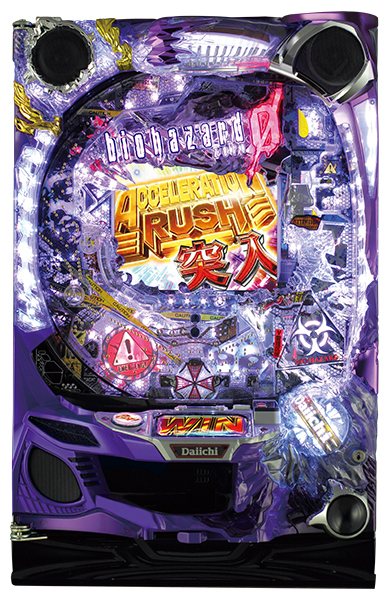 Happiness will come to the players when they enter a jackpot round called “MAXIMIZE RUSH”, a chance for the players to win lots of winning balls. Of course, there will be heroines such as Amy and Bellows to spice up the renditions that fan of the original work will sure to be reassured. The long awaited debut will be this April. 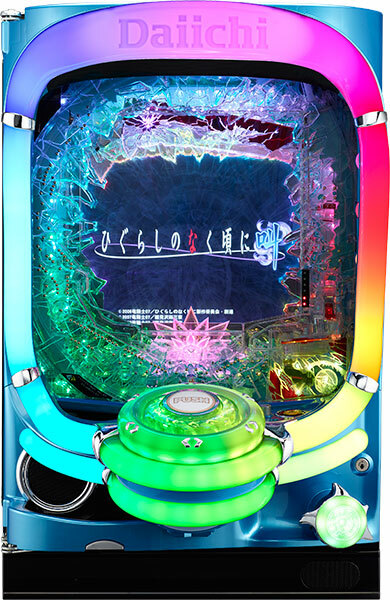 Today, we will be introducing the latest pachinko machine of a popular game/anime “Higurashi When They Cry”. 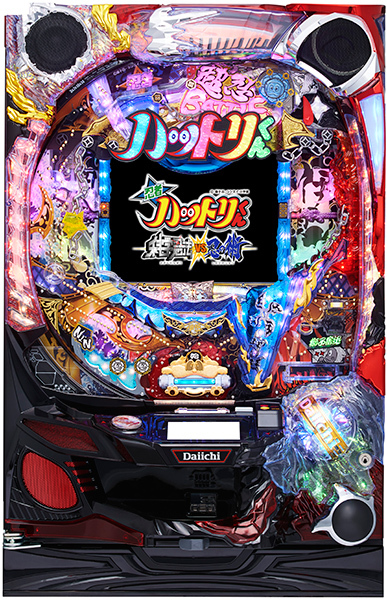 This new machine has completely renewed its gaming features from its previous series that it is now loaded with new charms. It’s a jackpot if the player gets to escape from Rena safely, but the tense atmosphere and tactics of escaping will sure to excite the players. Also, popular accessory of a “Giant Hatchet” from previous series has evolved that player should give a special attention to it as well!! It is expected to make its debut on June 19th. Let’s change the destiny of tragedy repeating!! Today, we will be introducing a pachinko machine of “Teresa Teng”, a pop singer who was widely popular from 1970’s to 1990’s. This new machine is loaded with a full orchestra system in which the lights synchronize with the music. Another point to note is that this machine has 15 exquisite pieces of music so that player can enjoy the songs of Teresa Teng to its maximum. 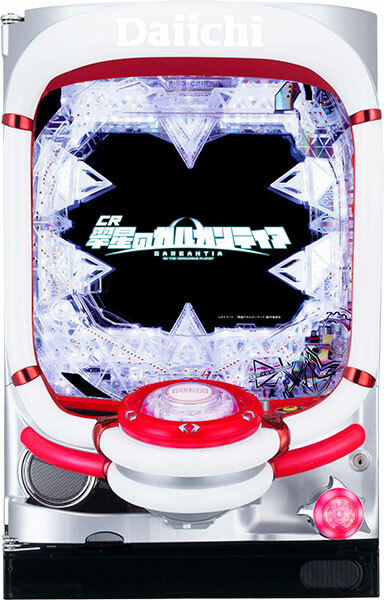 Also, player should pay special attention to “Teresa’s Greeting Rendition”, “Butterfly Cluster Rendition” and “Toki No Nagare Ni Mi Wo Makase Reach” which are the 3 biggest chance renditions of this machine!! And if the “Butterflight” lights up, the strongest rendition of this machine, the jackpot is almost there!! It is expected to make its debut in May. Legendary pop singer of Asia will be reviving in the parlor!! 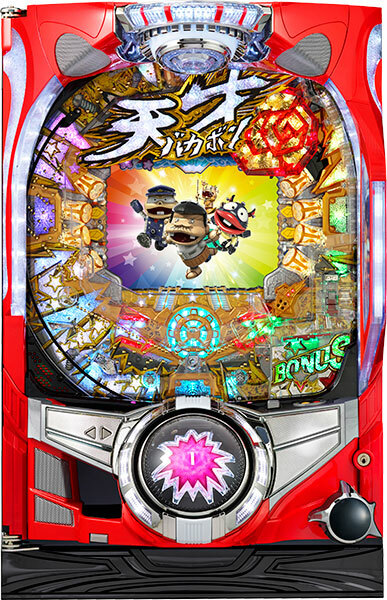 Today, we will be introducing the latest pachinko machine of “Tensai Bakabon”. Its original work is a manga written and illustrated by Fujio Akatsuka, who have his 80th anniversary of birth this year. 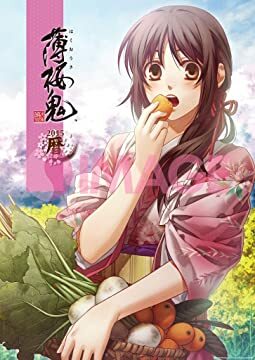 Although this content has a strong popularity, this 5th series renews the image of “Tensai Bakabon” up until now. Player gets to enjoy stories no one has ever seen and unique only to this machine. It is expected to make its debut in December. 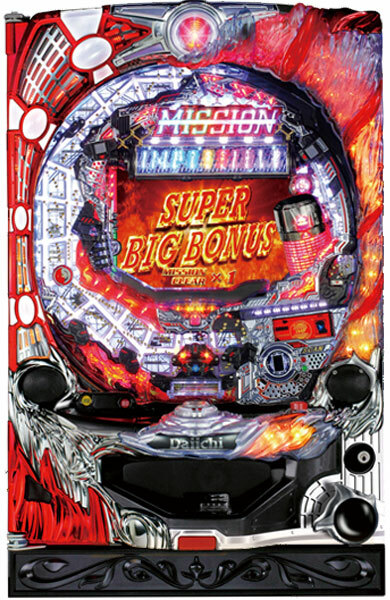 Today, we will be introducing a pachinko machine that uses a motif of the first “Mission: Impossible”, due to the release of the latest movie of “Mission: Impossible – Rogue Nation”. This machine, with a supervision of Tom Cruise himself, is loaded with magnificent computer graphics as well as a live-action movie. Not only the hard actions of Ethan Hunt played by Tom Cruise”, but player also gets to enjoy the world of original “Mission: Impossible” with renditions such as “Throwing sunglasses” and “count to 10” with this new machine. 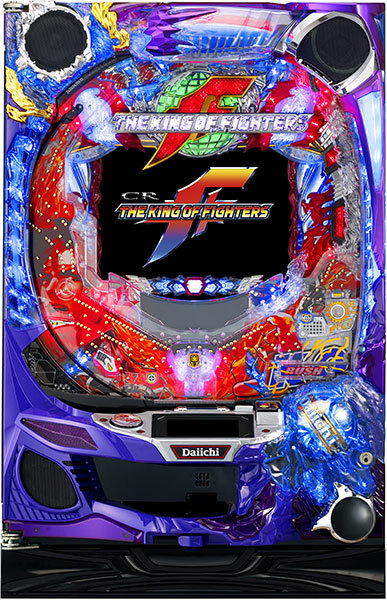 Today, we will be introducing a pachinko machine of popular fighting game from SNK Playmore, “The King of Fighters”!! Kyo Kusanagi’s team as a given, team of Yagami and team of Fatal Fury also makes their appearances for this pachinko machine!! Within the all the renditions making the best out of KOF, rendition you must see is a battle rendition!! Player gets to enjoy dynamic fights between Kyo and bosses such as Orochi, and fights between other 6 teams such as Yagami team in high quality image!! This is a must play for fans,expected month of debut is July!! 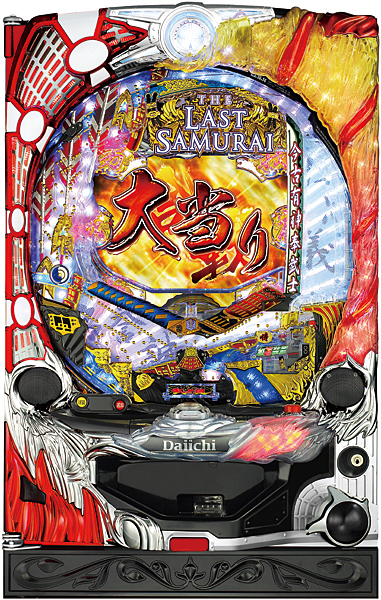 This time, we will be introducing a pachinko machine of “The Last Samurai”. Its original work was released in 2003, as a movie of the same title. Tom Cruise both produced and played the lead for this movie, with the theme of samurai spirit. Famous Japanese actors such as Ken Watanabe also made appearances on the screen. 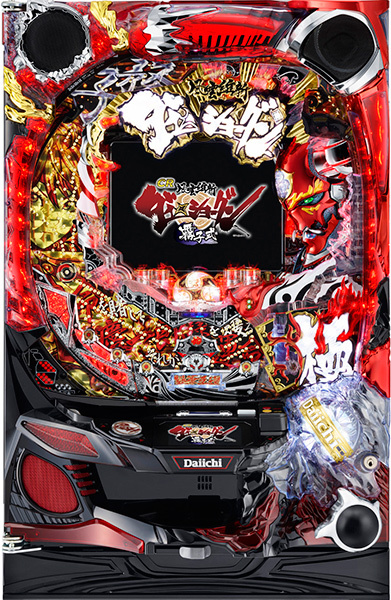 The best of this pachinko machine is the live-action reach.There are 11 reaches in total, and you get to enjoy the worldview of the movie, the way of samurai’s life being left behind from modernization. 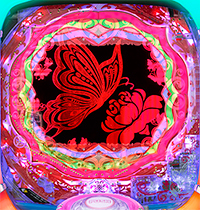 Today we will introduce a pachinko machine based on “Tetsuya,” a manga that brought a wave of Mahjong craze to Japanese youth. The theme of this machine is “going to the extreme!” It has the ultimate collection of cutscenes from the most important episodes of the original series! Our expectations are set to the max thanks to the “雀聖 accessory” that shrouds the LCD monitor!! It will be released in December 2014! 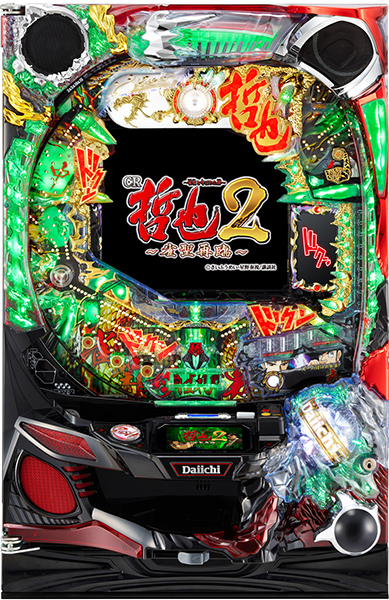 Enjoy a fierce Mahjong battle at a pachinko parlor! 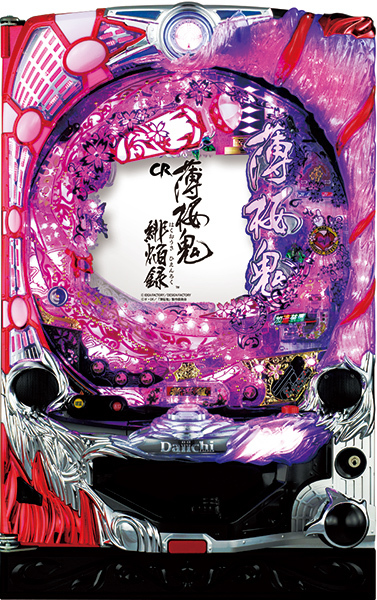 The pachinko we will introduce today is based on a popular anime that was just recently broadcast: Dai-Shogun – Great Revolution! 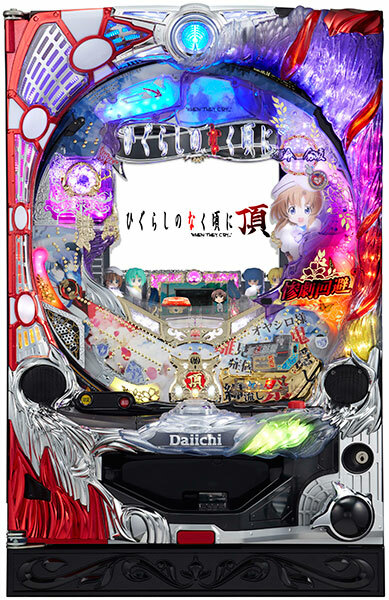 The collaboration between the well-known Kadokawa and Daiichi has resulted in an unprecedentedly swift conversion to pachinko! Thanks to the support of the talented staff of J.C. STAFF and ICLA, who pretty much single-handedly drive the anime industry, you can enjoy the series even more through the high quality cutscenes! Experience the thrilling fast-paced action that only Dai-Shogun can bring at a hall near you! The masterpiece work “Ninja Hattori-kun” by manga legend Fujiko Fujio will come to Pachinko soon! The third Pachinko installment sees a huge ninja battle with science ninjas spearheaded by Mekamaro. It’s biggest feature is the many kinds of “Karakuri” accessories! Scrolls and shuriken are attached all over the machine like a weapons house and they all move around with intense energy! Smash the science ninjas, and rescue your captured comrades! The 2008 Love-Adventure game Hakuoki -Hienroku- has come to Pachinko. It already has anime, theater, and film versions, has won the praise of many fans, and continues to touch people to this day. Experience the same world as the original work during the Bakumatsu, along with Toshizō Hijikata and Soji Okita!! 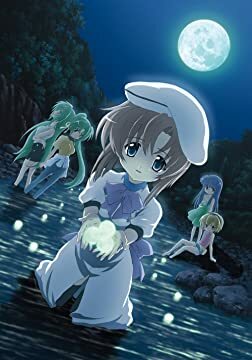 Today we will introduce the pachinko version of the hit game and anime series Higurashi When They Cry. There is a mystery in the old-fashioned peaceful looking village of Hinamizawa. There is an illness that only occurs in Hinamizawa called Hinamizawa Syndrome. The key in a world where many riddles and events happen constantly is the power to change fate. Cut through your fate in the Fate Branch Zone that condenses the tension of the original story into one area. 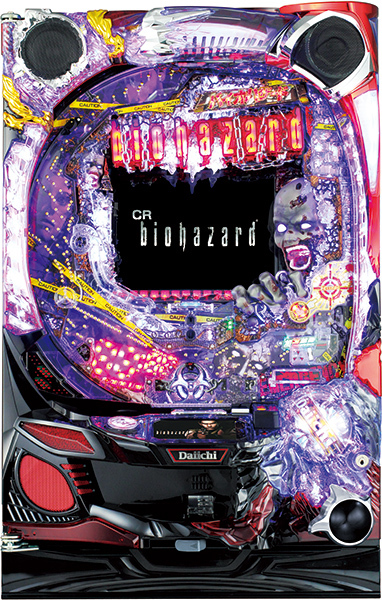 The world of Resident Evil 1 has been recreated in a Pachinko machine. Face whatever trouble comes your way using the attached touch screen. Will you be able to survive the onslaught of a horde of enemies?